As always, Dr. Swistak was attentive, professional and thorough. He takes genuine interest in his patients. I had to fill out paperwork so there really wasn't any paperwork. All went really well! Looking forward to feeling bettersoon!! I had to fill out paperwork so there really wasn't any paperwork. All went really well! Looking forward to feeling better soon!! Dr. Gregory Swistak is a thorough, attentive chiropractor treating patients in Gaithersburg, Maryland, and the surrounding communities. His goal as a practitioner is to restore his patients to their normal activities as quickly as possible. Dr. Swistak’s practice combines high-quality treatment with a relaxed atmosphere, providing in-house acupuncture and massage. Originally from Washington, D.C., Dr. Swistak attended Palmer College of Chiropractic in order to pursue his doctoral chiropractic degree. 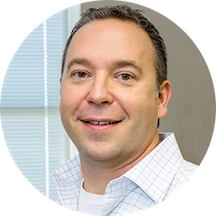 He now holds certification as a chiropractor and is a member of the Maryland Chiropractic Association. Patients visiting Dr. Swistak can receive a full range of chiropractic services. He provides chiropractic massage, chiropractic adjustment, wellness care, electrical stimulation, and general consultations. Treatment is available for issues including stress, scoliosis, fibromyalgia, and pain in the neck, hip, shoulder, and back. When he is not treating patients, Dr. Swistak is active in his community through health fairs and educational presentations at senior centers. Dr Swistak and his staff are always welcoming and I feel 100% better after treatment! I immediately felt better leaving compared to when I went in and Dr. Greg has great bedside manner. Dr. Swistak is a great chiropractor and wonderful person. He truly cares about his patients and takes time to thoroughly hear you out and ask you about the problems you are having. Visit overall was very professional. Dr. Swistak has great bedside manners. He is also extremely knowledgeable about the human body. I felt better literally minutes during and after treatments. Highly recommend! Dr. Swistak was great. I came in knowing a little of the process of what to expect. And he was far ahead of me. He reviewed me, and even adjusted me on my visit. As always, a very effective treatment. I love going there. The staff is great! The treatments are effective. I highly recommend. He was so great, very friendly and explained everything I needed to know. I first went to Dr. Swistak almost two years ago and was extremely pleased with my treatment. Slight pain and stiffness in my neck returned about a week ago and I made a fresh appointment. My treatment was every bit as good this time. Highly recommended caregiver. Love this place and the staff! This was a first appointment with this doctor. Hoping for good results though. He seems to be one of those people who is very thorough and determined to find solutions. Second appointment is on Thursday. He listened, took a good history and understood my issues right away. Absolutely love Dr. Swistak and his team. Have been going there on and off for 10 years and haven’t gotten the nerve to “cheat” on them even when I moved away. Highly recommended! Dr. Swistak is a superb Chiropractor. He was very thorough in questioning me about my physical problem and in examining me. He carefully explained his proposed treatment,what I should and shouldn't do during my rehab, and what would be coveredby my insurance. I feel really good about his approach to helping me heal. He is also a really nice person. His office staff was highly competent and wonderful to deal with-- particularly his Receptionist "Becca". I have been visiting Dr. Swistak for some time and have always found his service useful. (I go there mostly for a "maintenance" type of chiropractic treatment but sometimes have a minor pain issue.) His office staff are also very cordial and professional. Awesome as always. Best Chiropractor I have ever been gone to...he and his staff are always caring and very professional. Great hands and knowledge of the back. Great... Dr was so patience and answered all the questions. I have been going to Dr. Swistak for about 7 months now and I am very pleased with my treatments. Been seeing Greg for 17 years. He's the best! Dr. Swistak is always attentive and responsive to my concerns. He is professional and personable and consistently delivers personalized care! Dr. Swistak is pleasant and professional. My needs are always met and expectations exceeded. I always leave the office feeling so much better and appreciate his attention to detail. My service at the front desk is always friendly and efficient. I saw Dr Swistak today for the first time and he and his staff were great. He was very personable and performed a very thorough examination as we discussed the various issues I'm having. Overall great 1st visit experience! This was my first ever visit to a Chiropractor in US and i was extremely impressed by the speed, professionalism, courtesy and how smoothly the whole process went. I wish they offered 10 stars because Dr. Swistak deserves them all! I've had back pain issues for awhile now and have always been a little sceptical about seeing a chiropractor. But his staff was so accommodating and attentive, and hisskill at releasing my pain was extraordinary. I will recommend Dr. Swistak to everyone! Dr. Swistak is very pleasant and provides good service. Staff (receptionist) is good too. Usually no wait time. Dr. Swistak is very professional and kind. I didn't have to wait for more than a few minutes and I noticed an improvement after my first visit. First time I have had to use Greg, But have recommend him to several people in the past, And all were very happy with his work. I would highly recommend him again. In addition to being a great chiropractor, Greg's beside manner is second to none. I would highly recommend Greg to anyone. This was my first appointment with Dr. Swistak. He was friendly, knowledgeable, thorough in his exam and immediately put me at ease. I appreciated that he does not order a bunch of unnecessary X-rays (I've heard some other providers do). Firsttreatment seemed good but it's too soon to comment on effectiveness. I would certainly recommend Dr. Swistak based on my experience so far. Dr. Swistak is the best, friendliest and most professional chiropractor. Dr. Swistak is amazing! If it wasn't for him I'd still be in daily, horrible back pain. Quiet atmosphere, very friendly staff. Dr Swistak and his staff are wonderful. They make sure to address everything you need and could not be more friendly. Great doctor! Looking forward to my future appointments. Awesome doc and office staff.